Straightforward and uncomplicated… I opened the pantry and the fridge and in less than a minute I came up with this recipe then in less than ten minutes I was eating. Great for lunch or dinner and very simple. -Heat coconut oil over medium heat, sauté garlic for about a minute. 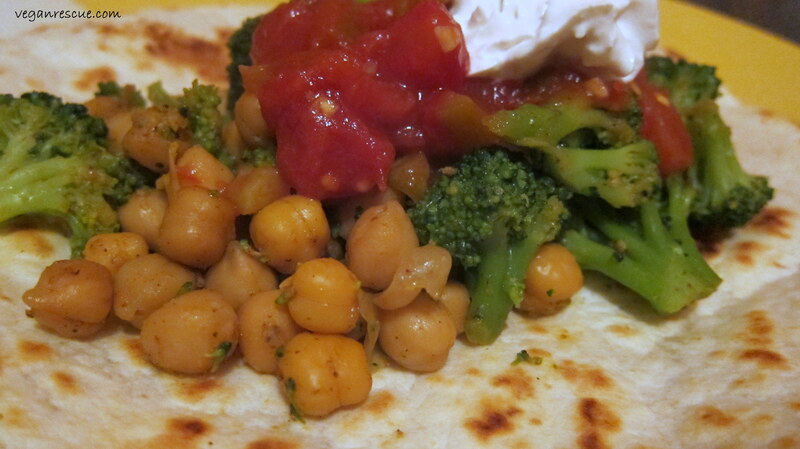 Add chickpeas and seasonings continue sautéing for another 3-5 minutes. 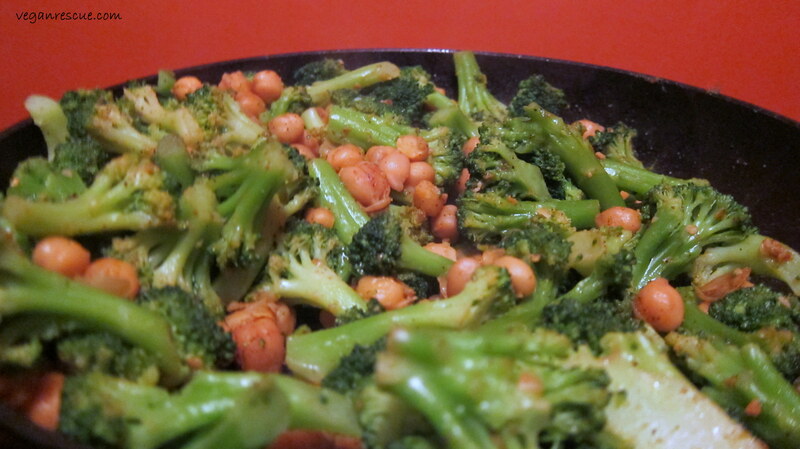 Toss in broccoli to combine, continue to heat for another couple of minutes. 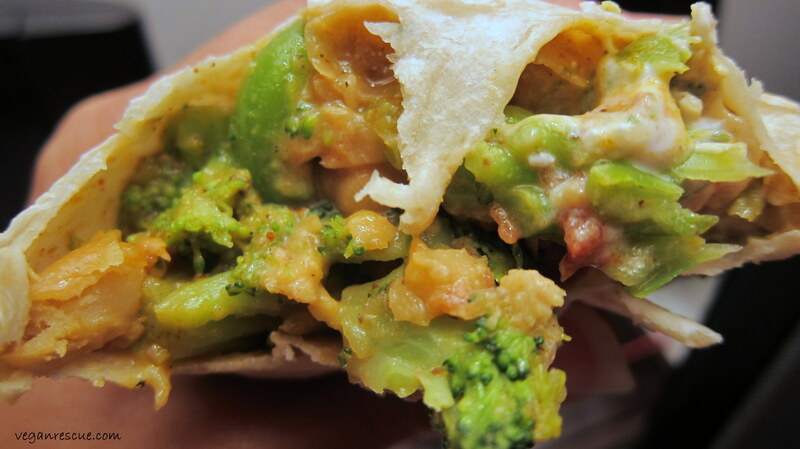 -Warm tortillas then add filling along with a dollop of vegan sour cream and salsa. Enjoy!